Orla Fallon releases "My Land"
This March, Órla Fallons My Land premieres nationwide on public television (check local listings) and features guest appearances by Órlas friends, including one of the most iconic and legendary Irish musical groups - The Dubliners. You can also see the wonderful Dublin Gospel Choir, singer/songwriter Damien Dempsey and Irish crooner, Tommy Fleming. 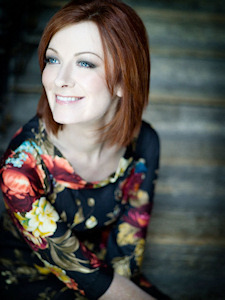 Órla Fallons My Land was taped at the majestic Royal Hospital Kilmainham (RHK) in Dublin. RHK is one of the finest 17th-century buildings in all of Ireland. Additional shooting for the show took place on location throughout Ireland and Northern Ireland at various locations including: The Cliffs of Moher, Slea Head, the Dingle Peninsula, Forest Park in Gougane Barra, Rock of Cashel, Dublin, Portaferry, Strangford Lough and Downpatrick. the place I learned to sing and a place that I hope everyone gets to visit some day. The companion CD and DVD will be released on March 1 nationwide by The Elevation Group. The CD includes eleven songs and collaborations with each of the aforementioned artists. The DVD is the entire, full-length concert recorded at RHK. 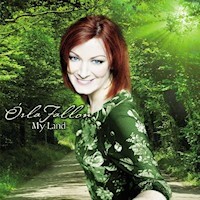 If there is such a thing as perfection, then Orla Fallon has done it with her release of "My Land" - an outstanding collection of traditional and contemporary Celtic music that is not to missed. Orla's heavenly voice paints a picture of the vivid Irish landscape, filled with all of the beauty and character of the land that so many people wish to visit. She opens with a magnificent arrangement of "Mo Ghile Mear", sung completely in Gaelic and then follows through with the sweeping and moving "Distant Shore." This album is a masterpiece of musical talent orchestrated by the Angelic voice of Orla. Your smile will grow bigger and bigger with each track. We were so delighted to see that Orla brought in the Legendary Dubliners for "Spanish Lady" and then joined with Damien Dempsey for the foot stomping "I'll Tell Me Ma." But including "Morning Has Broken", "Both Sides Now" and the Dublin Gospel Choir for "Down to the River to Pray" just stole our hearts away! And this album keeps getting better with "Isle of Innisfree", a beautiful rendition of "My Land", "Red is the Rose", and the hand clapping "Ni Na La." Just breathtaking! Orla Fallon's "My Land" tells the story or her native Ireland, but much more than that. This album is a celebration of life. From Happiness, to Love, and yearning to be home in the land that so many dreams have been made. "My Land" will take you away to the Green Isle without even leaving your home accompanied by Orla Fallon's music and stories. This is one album not to be missed. 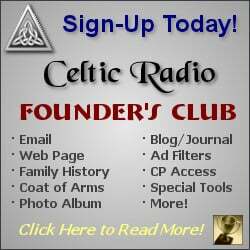 Celtic Radio is honored and privileged to give "My Land" a 5 star review. Perfection is a wonderful thing!